"You're Gettin' to Me Again"
"If I Could Only Dance with You"
(1984) "You're Gettin' to Me Again"
(1984) "Let Me Down Easy"
James William Glaser is an American country music artist. He was born in Spalding, Nebraska. The brother of country singers Chuck and Tompall Glaser, he has performed as both a solo artist and alongside his two brothers in the group Tompall and the Glaser Brothers. His early career as a backup vocalist included a long stint with singer/songwriter Marty Robbins. Shortly before beginning his solo recording career he had two major hits as songwriter in 1964, the top 5 "What Does it Take" which was recorded by Skeeter Davis and the top 40 "Thanks A Lot For Tryin' Anyway" recorded by Liz Anderson and later covered in albums by Jan Howard and Connie Smith. Hot Country Songs is a chart published weekly by Billboard magazine in the United States. RPM was a Canadian music industry publication that featured song and album charts for Canada. The publication was founded by Walt Grealis in February 1964, supported through its existence by record label owner Stan Klees. RPM ceased publication in November 2000. When "You're Gettinn to Me Again" reached No. 1, Glaser accomplished something that he failed to do with his better-known brother, Tompall. Jim had recorded as part of the trio Tompall and the Glaser Brothers (Chuck Glaser was part of the group as well), and the closest any of their hits came to the top was 1981's "Loving Her Was Easier (Than Anything I'll Ever Do Again)," stopping at No. 2 that July. A video was produced for "You're Getting to Me Again," and was aired on The Nashville Network, CMT and Great American Country. Great American Country (GAC) is an American digital cable and satellite television network that is owned by Discovery, Inc. Based in Knoxville, Tennessee, the channel features country music programming including music videos, music performance specials and live concerts, along with country lifestyle entertainment and original lifestyle programming. Thomas Paul "Tompall" Glaser was an American outlaw country music artist. This is a list of notable events in country music that took place in the year 1975. Deborah Lynn Thurmond known professionally as Deborah Allen, is an American country music singer, songwriter, author, and actress. Since 1976, Allen has issued 12 albums and charted 14 singles on the Billboard Hot Country Songs chart. She is most remembered for the 1983 crossover hit "Baby I Lied", which reached No. 4 on the country chart and No. 26 on the Billboard Hot 100. Allen has also written No. 1 singles for herself, Janie Fricke, and John Conlee; Top 5 hits for Patty Loveless and Tanya Tucker; and a Top 10 hit for The Whites. William Neal Browder is an American country music singer-songwriter, known professionally as T. G. Sheppard. He had 14 number-one hits on the US country charts between 1974 and 1986, including 8 consecutive number ones between 1980 and 1982. Wanted! 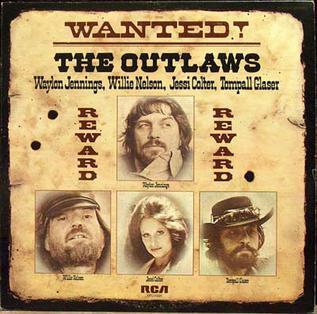 The Outlaws is a compilation album by Waylon Jennings, Willie Nelson, Jessi Colter, and Tompall Glaser, released by RCA Records in 1976. The album consists entirely of previously released material. Released to capitalize on the new outlaw country movement, Wanted! The Outlaws earned its place in music history by becoming the first country album to be platinum-certified, reaching sales of one million. "You're the Best Thing That Ever Happened To Me" — also known simply as "Best Thing That Ever Happened To Me" — is a song written by Jim Weatherly, and produced by Don Law. 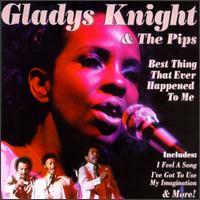 It was first recorded in 1973 by Ray Price from his album You're the Best Thing That Ever Happened To Me. The song enjoyed two runs of popularity, each by an artist in a different genre. "(There's) No Gettin' Over Me" is a song written by Walt Aldridge and Tom Brasfield, and recorded by American country music singer Ronnie Milsap. It was released in June 1981 as the first single from the album There's No Gettin' Over Me. Known by many fans by its less grammatically correct title "There Ain't No Gettin' Over Me" — the song's official title appears nowhere in the lyrics — the song became one of Milsap's biggest country and pop hits during his recording career. "You Don't Seem to Miss Me" is a song written by Jim Lauderdale, and recorded by American country music artist Patty Loveless featuring backing vocals from George Jones. It was released in September 1997 as the first single from her album Long Stretch of Lonesome. Tompall & the Glaser Brothers were an American country music group composed of three brothers: Chuck February 27, 1936, Jim December 16, 1937, and Tompall September 3, 1933 - August 13, 2013. The trio were the sons of Alice Marie Harriet Davis Glaser and Louis Nicholas Glaser of Spalding, Nebraska. The Glaser Brothers started singing together at country fairs and contests in and around the Spalding area when they were preteens. In 1957 the group got their big break when they appeared on the Arthur Godfrey's Talent Show and attracted the attention of several well known country stars, including Marty Robbins. Robbins quickly signed them as backup singers on his albums and as solo artists on his record label. The brother's first single Five Penny Nickel was released in 1958 on Robbin's Records. 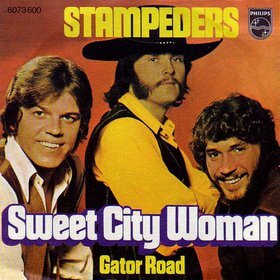 "Sweet City Woman" is a 1971 song by Canadian rock band The Stampeders, appearing on their debut album Against the Grain. It features a banjo as a primary instrument, which is also mentioned in the lyrics: "The banjo and me, we got a feel for singing." "Broken Hearted Me" is a song written by Randy Goodrum, originally recorded by England Dan & John Ford Coley in 1978, and later covered by Canadian country and pop music singer Anne Murray. It was released in September 1979 as the first single from her album I'll Always Love You. The song reached No. 1 on the Billboard Hot Country Singles chart in December, and was her third chart-topper for the year. She also recorded a version of the song in Spanish, which was released on vinyl, and later on CD. "Don't Laugh at Me" is a song written by Allen Shamblin and Steve Seskin, and recorded by American country music artist Mark Wills. It was released in July 1998 as the second single from album Wish You Were Here. Like "I Do " before it, "Don't Laugh at Me" was a number 2 hit on the Billboard country charts. The song received Country Music Association nominations for Country Music Association's Single, Song and Video of the Year in 1998. "Brother Jukebox" is a song written by Paul Craft. It was originally recorded by Don Everly, one-half of The Everly Brothers, in 1977 and reached number 96 on the country singles charts. It was later covered by Keith Whitley on I Wonder Do You Think of Me and by Mark Chesnutt on his 1990 debut album Too Cold at Home. Released in November 1990 as the album's second single, it became his first Number One country hit in the United States. It was also recorded by John Starling on his 1977 album Long Time Gone. 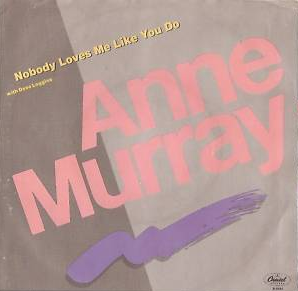 "Nobody Loves Me Like You Do" is a song written by James Dunne and Pamela Phillips, and recorded by Canadian Country music artist Anne Murray and singer-songwriter Dave Loggins as a duet. It was released in August 1984 as the first single from the album Heart Over Mind. "Now and Forever " is a hit song written by David Foster, Randy Goodrum and Jim Vallance and recorded by Canadian Country vocalist Anne Murray. It was aided by a popular music video, filmed in Toronto. The back-up vocal was sung by Richard Page, lead singer for the Pop group Mr. Mister. "Voices" is a song co-written and recorded by American country music singer Chris Young. After charting in mid-2008 on the Hot Country Songs charts, "Voices" was re-released in July 2010 following Young's first two Number one singles, "Gettin' You Home " and "The Man I Want to Be." The song is included on his album The Man I Want to Be, as well as a digital extended play of the same title. "Voices" became Young's third-consecutive Number One hit for the chart week ending February 19, 2011. The song spent 20 weeks on the Hot Country Songs chart during its first run plus 31 more weeks in its second run during its rise to #1. The song was written by Young, Chris Tompkins and Craig Wiseman. "Lovin' Her Was Easier " is a song written, composed, first recorded, and first released by Kris Kristofferson. It was also recorded and released by Roger Miller, who included it on his album The Best of Roger Miller and released it as a single in July 1971. Ten years later, it was recorded by Tompall & the Glaser Brothers for the album Lovin' Her Was Easier. The singles discography of American country music singer Reba McEntire comprises 95 singles. "What Does It Take " is a song written by Jim Glaser, that was recorded and released as a single in 1967 by American country artist, Skeeter Davis. Jim Glaser was a member of the popular country music group, Tompall and the Glaser Brothers. 1 2 Whitburn, Joel (2008). Hot Country Songs 1944 to 2008. Record Research, Inc. pp. 162–163. ISBN 0-89820-177-2. ↑ "Country Tracks chart for September 29, 1984". RPM. Retrieved 30 September 2010. ↑ "Jim Glaser Chart History (Hot Country Songs)". Billboard. ↑ Billboard. "Jim Glaser - You're Gettin' To Me Again". billboard.com. Retrieved 2012-04-12. This 1984 country song-related article is a stub. You can help Wikipedia by expanding it.